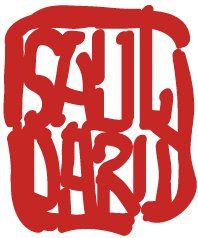 Saul Darù, illustrator and architect. and video scenography for theatre, he is also involved in international cooperation projects. Saul studied architecture at the FAUP of Porto and the IUAV in Venice. Having obtained a master’s degree in architecture he studied courses in illustration for children with Mauro Evangelista and Francesca Chessa at ‘Fabbrica delle Favole’ of Macerata, Italy. Following this he specialized in ephemeral architecture and stage design obtaining a post grad diploma in ephemeral architecture as part of a master at the UPC in Barcelona (Arquitectura, Arte y Espacio Efimero). He later specialised in ‘Stop motion animation’ at the school 9Zeros of Barcelona. His artwork has been displayed in several exhibitions in Italy and abroad, most notably: Peer Gynt in 2006 – ‘Peer a colori Rassegna d’illustrazioni d’autore’ sponsered by the Italian master of Scenography, Mr. Emanuele Luzzati, Casamicciola Terme, Naples, Italy. His books have been published in Spain by Bromera, Baula / Edelvives, Everest / Cadì, Barcanova and Maresia; in Portugal by Oficina do Livro; in Malaysia and Thailand by Pelangibooks; in Taiwan by ACME and in Indonesia by Gospel Press. He also collaborates as illustrator for: Kallipolis, OXFAM Italia, Centro Servizi Culturali S.Chiara – Trento, Confartigianato-Imprese – Udine, Consorzio Culturale del Monfalconese, GAL Open Leader – Udine, Presses de l’Université Catholique de Louvain (Belgium), Fondazione Teatro Comunale e Auditorium – Bolzano, GreenLab – Bolzano, S.T.O.A. – Barcelona, Culturalia – Barcelona, Porto Vivo SRU (Portugal), Mil Dimonis (France), Teatro Carta/Aria Teatro – Trento, Informatica Trentina, Ingegneri Senza Frontiere – Trieste, Comunità Montana del Gemonese, Ecomuseo Territori, Ecomuseo delle Acque, Ecomuseo della Val del Lago, Ecomuseo Val Resia, Municipality of Leverano (Lecce), Municipality of Tarvisio (Udine), Municipality of Quezzi (Genoa). He collaborates for international and european projects as: EUDigiTAC (Creative Europe) – Digitally crafting new communities of practice / WATERranean project, building interculture of water in MED area (Anna Lindh Foundation) / interterritorial cooperation project “ECOMUSEUM: from memories to the future” / PArSJAD: Strategic project Interreg Italy – Slovenia for the archaeological park of the High Adriatic and ThiroPedia: European Programme of territorial cooperation Interreg Greece – Italy. As part of the Italian Illustrators’s Annual awards in 2006, he was awarded a prize within the category of best Italian illustrations “EDITORIA-B1 LIBRI”, for the publication of an image in the book ‘Os Meninos em Fèrias’, Oficina do Livro, 2005; Portugal. He has been director and illustrator of a cartoon for the MOZartoons – Mozart on screen (‘Nuova produzione Fondazione Teatro Comunale e Auditorium’ in collaboration with the ‘Fondazione Gustav Mahler’). MOZartoons embroiders the music of Mozart’s opera ‘Bastien und Bastienne’ (KV 50) with film, animation and concert to present the opera in a brand new way. This was staged with live music at the ‘Teatro comunale di Bolzano’ the ‘Forum’ in Bressanone, ‘Teatro Cristallo’ in Bolzano, the ‘Teatro Nuovo’ in Verona during the Vth Festival Atlantide (2009/2010) and at the ‘Auditorium Melotti’ by the museum ‘MART’ in Rovereto, Italy. It was broadcast in full on RAI3 on February 22nd, 2009. One of his most recent works of animation is a short film made with the technique of stop motion titled ‘Desde el Averno’. The short film, produced by 9zeros and Catalan films in 2011 was awarded best animated short film at the 44th International Film Festival fantastic Sitges, Spain, ‘New Autorship Buñuel Institute’ and at ‘The Antic Horror Picture Show’ in Barcelona with the ‘Audience Award’. In 2013 is the author of the video scenography for the lyric opera “The Barber of Seville” by Gioachino Rossini (stage director Sandro Pasqualetto) produced by CSC Trento – Italy. In 2015 he is working on “La Luna del Lupo”, a new Opera for children directed by C.Pietrantonio produced by CSC Trento – Italy. Saul lives and works between Italy and Spain as illustrator and architect. He is an active member of APIC (Associació Professional d’Il·lustradors de Catalunya) since 2004 and an active member of JIA (Japan Illustrators’ Association) since 2017.